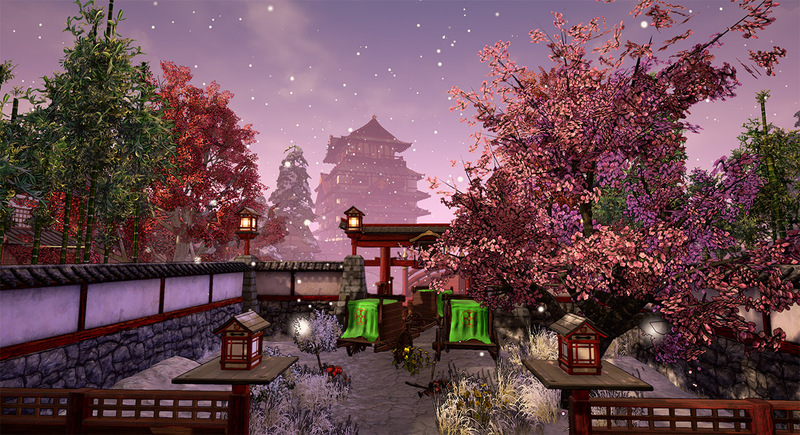 Travel through a beautiful, fictional rendition of the 16th century of Feudal Japan. Choose between four types of warriors as you learn to master intuitive, directionally-driven swordplay while also choosing unique abilities to ensure victory over your foes. Join your friends in an immersive multiplayer campaign across Japan in pursuit of either preserving the peace and honor of the Emperor or bringing on chaos and death by playing across four different game modes with different objectives and strategies. Whether you prefer the blade wielding Kenshi or Naginata Samurai, the range and precision of the Samurai Archer, or the deceptive Ninja, the options are vast and the battles fierce. We've been working since October on our Early Access 3 patch and it is our largest release so far. We think this really brings us close to the goal line of 1.0 Full Release. New tutorial teaching new mechanics, features and more classes. We offer public testing of the game and bits and pieces of these features every week on Wednesdays at 10PM EST on our Discord: Discord.gg - This will help us get everything ready for the big time! As mentioned above we are bringing three new huge gameplay options, the last of our core gameplay from our original design. Per-match skill trees will allow players to chose between Abilities (think Moba actives), Talents (dodges, double-tap moves) and stat boosts (health, armor, better accuracy, etc.) all to work towards unlocking a powerful MASTER ABILITY. We don't have a concrete release, but we'll be releasing a trailer later in January and hope the patch will be ready by late February/early March at latest. Happy 2019 Hanako Family, from the Hanako Dev Team!